The pilum was an iron spear or javelin, which was created by the Romans for war in 400 BC. This spear was designed to throw from a distance up to 33 yards (halshs.archives).... 27/06/2012�� A throwing spear is not the sort of weapon that is easy to use in close formation - my days of track and field attest to that You need room to move and pivot to get any meaningful power into a throw. I have read that the pilum was primarily used to unbalance a foe by sticking it in their shield. The pilum (plural pila) was a throwing spear commonly used by the Roman army in ancient times. It was generally two meters long, consisting of a one meter iron shank with pyramidal head socketed into a wooden shaft of similar length. A pilum with the long barbed iron head. 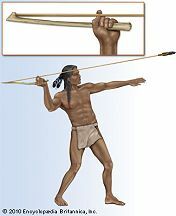 There were other spear types in use as well: The most common was the hasta, a six-foot or so fighting spear not meant for throwing. A pilum is a type of javelin commonly utilized by soldiers of the Roman Army. In 48 BCE, however, Benipe, the blacksmith of Siwa, Egypt procured a deadly spear that was erroneously known as the Pilum. The pilum was the Roman pike, and the spatha the short single-edged Roman sword. The day of the sword and pilum had given place to that of the lance and bow. The pilum was sometimes used at close quarters, but more commonly it was thrown.